Wristbands can be customized with a word, slogan or verse for your team. What a great visible reminder! 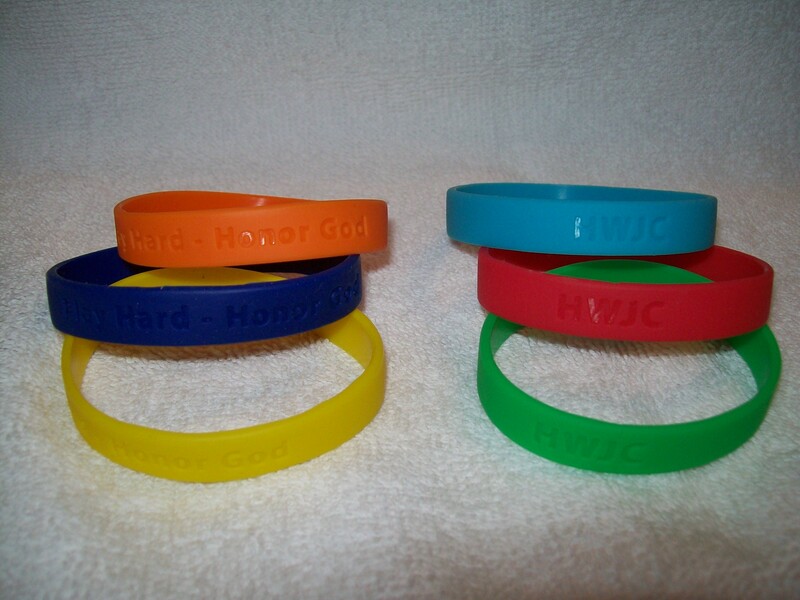 “PLAY HARD- HONOR GOD” in purple,orange, hot pink, red, teal green,blue and yellow. “HWJC” ( How Would Jesus Coach) in teal blue,red and green. Credit cards (MC/VI/AMEX/DISC) checks and purchase orders accepted. 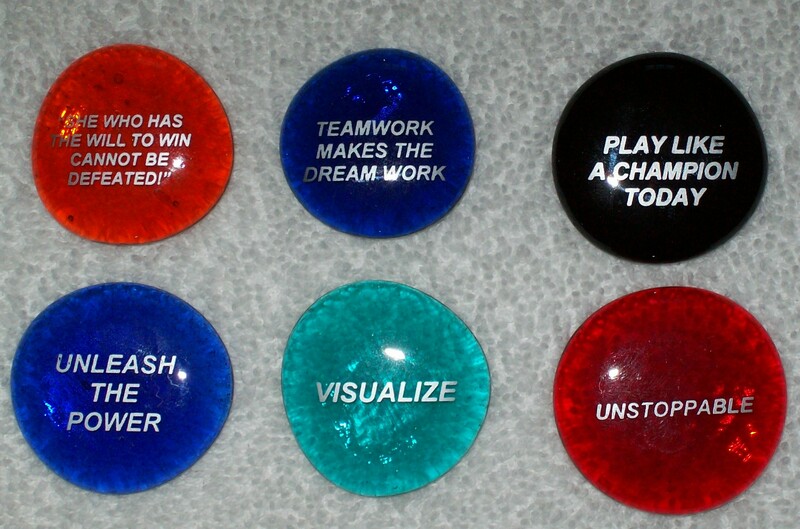 Great for Team-Building or Individual Motivation! It doesn’t take alot to make a Big Impression! 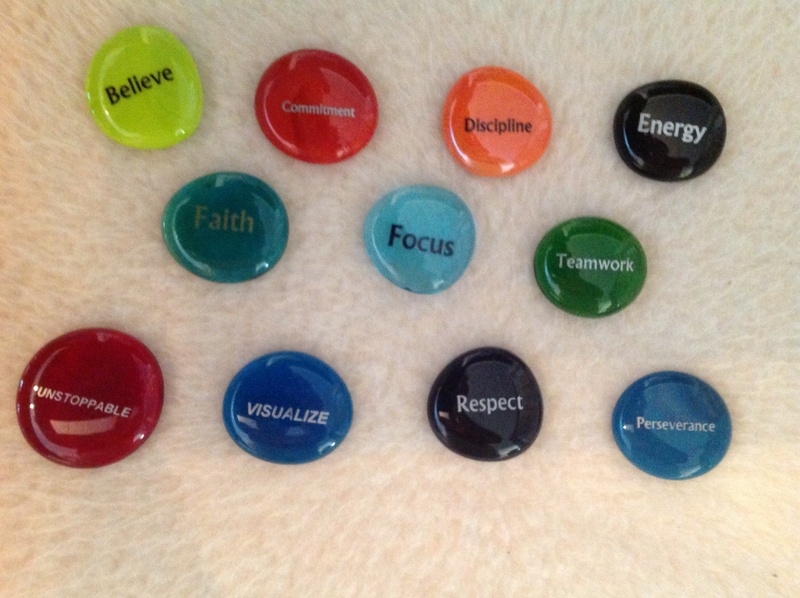 Great Visual Reminders! Believe, Bravery, Caring, Commitment, Concentration, Confidence, Courage, Courtesy, Determination, Endurance, Energy, Enthusiasm, Excellence, Fairness, Faith, Focus, Generosity, Gratitude, Honesty, Honor, Hope, Integrity, Knowledge, Leadership, Love, Loyalty, Miracles, Optimism, Patience, Patriotism, Perseverance, Persistence, Power, Respect, Responsibility, Service, Spirit, Sportsmanship, Strength, Success, Teamwork, Tenacity, Unstoppable, Vision, Visualize. God Bless, Play Hard-Honor God, Play Like A Champion Today, Teamwork Makes the Dream Work, Unleash the Power, She Who Has the Will to Win Cannot Be Defeated, He Who Has the Will to Win Cannot Be Defeated, No Regrets, Serenity Prayer. Have your own Team Motto? Special Verse, Slogan or Word not on the list? We do special orders(minimum of 100 stones of the same print) on stones. Most colors available. You can add a drawstring gift pouch for $1.00 each. Let us know how we can be of service to you. We would love to work with you to encourage, inspire and motivate your teams. Credit cards( MC/VI/AMEX/DISC), checks and purchase orders are accepted. 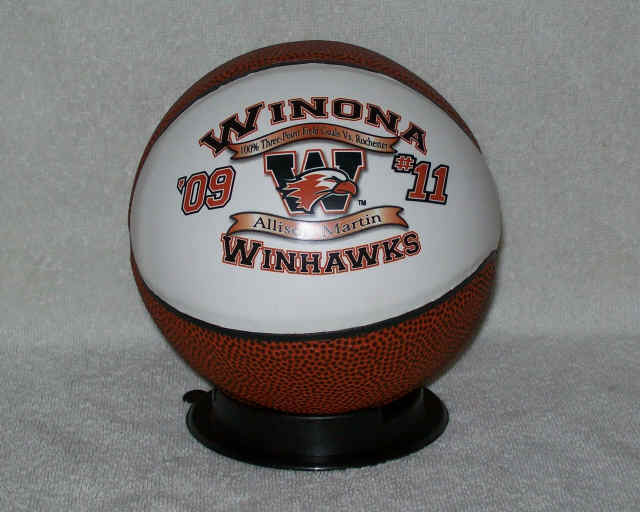 We have footballs ( full size & mini), volleyballs(full size & mini), basketballs(full size & mini), softballs, baseballs, miniature home plates, soccer balls( full size & mini), hockey pucks and lacrosse balls. * Booster Club Fund- Raising at games, etc. There is a one- time set-up fee of $45.00, which includes your logo/saying on the the, players’ names, numbers,position, MVP,Player of the Week, etc. 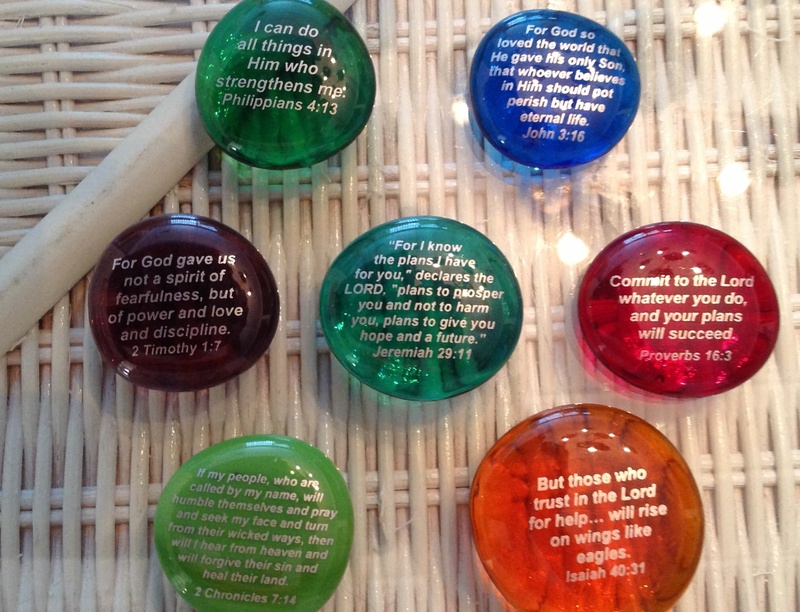 After the initial set-up, the minis are $25.00 each and the full- size are $50.00 each. 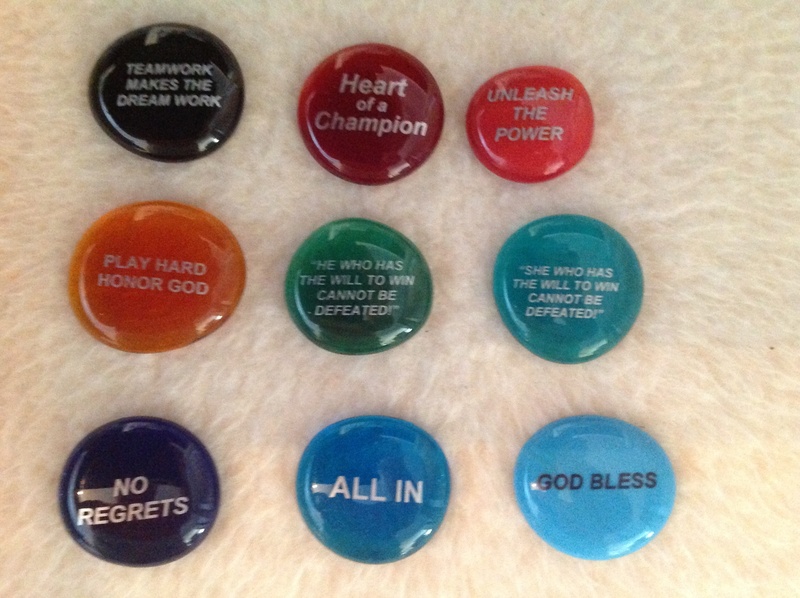 Contact us for further information at 407-321-0160 or email us at spiritedathlete@aol.com.